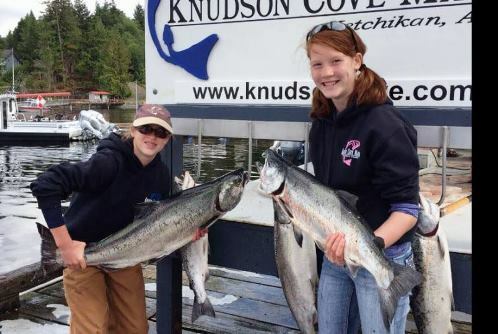 class=”alignleft” title=”Full-Day Fishing Charter Ketchikan”> Anglers Adventures offers amazing full-day fishing charters for people of all ages and experience levels. Our fishing charters set sail from the beautiful, breathtaking Knudson Cove, just twenty-five minutes from the heart of Ketchikan. The close proximity of our preferred location means that you spend more of your time fishing and less of your time traveling to where you will do your fishing. Our full-day fishing charters give you eight to ten hours out on the water to catch the one that won’t get away. Two 225hp Honda engines that are powerful and reliable. GPS to ensure we always know where we are going. Depth sounders to help us always know how deep the water is where we are fishing. The Sierra Dawn is a safe and reliable boat, and it is loaded with features that make a full-day charter feel comfortable for every minute of your excursion. Even the safest boat means little if you are not also confident in your guide’s qualifications. Captain Brian Ringeisen is both CPR- and Coast Guard-certified, so you know you will be in good hands. On top of Brian’s unsurpassed qualifications, he is committed to giving his clients an experience they will never forget. The best way to do that is to provide the ingredients for a real adventure and doing so on a foundation of safety. The Sierra Dawn and its captain are predictable. The fish waiting to bite at your bait and the wildlife you may spot are not predictable. If you have any questions about the full day fishing adventure possibilities that await you in beautiful Ketchikan, feel free to contact us. 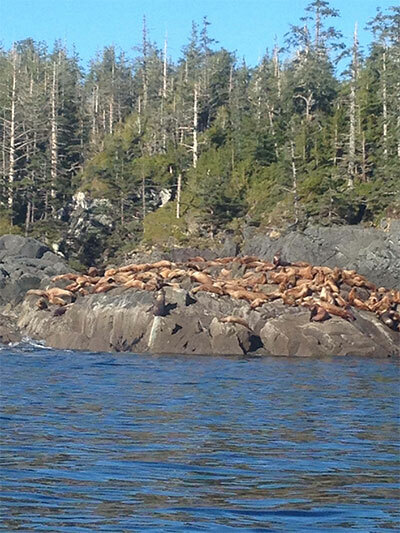 Call us at (907) 254-0880 or email Brian directly at brian@anglers-adventures.com.